An International Energy Agency (IEA) report on trends in energy efficiency in OECD (Organization for Economic Co-operation and Development) countries (see list here) offers insights into the nature of energy-intensity reduction in these nations. The report shows that though the total consumption of energy has reduced in OECD member countries (including the US), there is no corresponding change in consumption behaviour—a finding also highlighted in Delhi-based non-profit Centre for Science and Environment’s (CSE) recent critique of the US INDC (Intended Nationally Determined Contributions). The study shows changes in the total final consumption (TFC) of energy in 11 OECD member countries under three categories that determine the overall energy demand in a particular country. TFC is defined as the sum of consumption by various end-use sectors. It excludes energy transformation losses from power plants, oil refineries and other energy transformation processes. In the report, the sectors include freight/passenger transport, industry (manufacturing and mining), services and residential buildings and others (agriculture and non-energy uses). Activity effect: this is related to changes in energy consumption due to human/economic activities such as changes in passenger/goods per km in the transport sector or changes in value-added production for industrial/services sectors. Efficiency effect: this relates to changes in energy consumption as a result of changes due to energy efficiency improvements. The report shows that activity effect (from 2006-07) and structure effect (8 per cent change reduction from 2004) had remained constant and the reduction in energy consumption (from 2004) is largely a function of energy efficiency improvements. Figure 1 shows changes in the aggregate TFC relative to 1990 levels, decomposed by activity, structure and efficiency effects for 11 OECD countries (Australia, Denmark, Finland, France, Germany, Italy, Japan, Holland, Sweden, UK and the US), 1990-2014. Figure 2 shows changes in the aggregate TFC relative to 2002 levels, decomposed by activity, structure and efficiency (same as intensity) effects for four sectors in the United States. 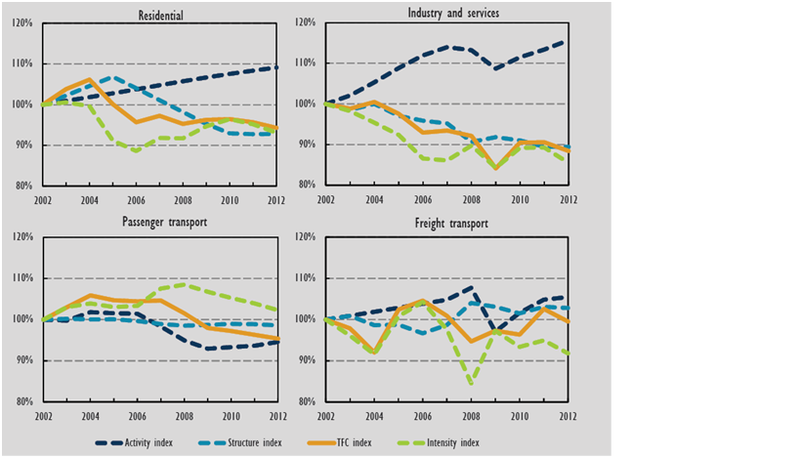 Figure 2 shows that reductions in TFC are not linked to reduction in consumption (activity effect) in the freight transport, residential and industry and services sectors. Additionally, residential, industry and services sectors, which account for almost three quarters of the US energy consumption (US Energy Information Administration, 2011), show trends of increasing consumption. The CSE report shows that the rates of consumption in the US are substantially higher than other developed and developing countries. Also, the US climate action plan does not target any significant change in its consumption behaviour. The report does not find any policy linked emission reduction trend. 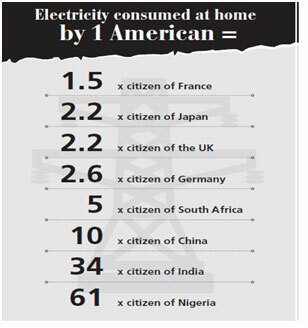 Table 1: Comparison of residential electricity consumption between the US and other countries. The findings of the IEA report reinforces CSE’s critique of the US INDC as being unambitious and with no requirement to change its consumption behaviour.